Oscar Ekelund, Sr. was born to a Galveston family of great respect. His grandparents were early settlers there and his father was a police officer. As a boy, he was active with Galveston’s DeMolay chapter and was a Past Master Councilor. Oscar attended public school there and then went to night school at the Business College. At fifteen years old, he began working in retail dry goods and clothing sales. 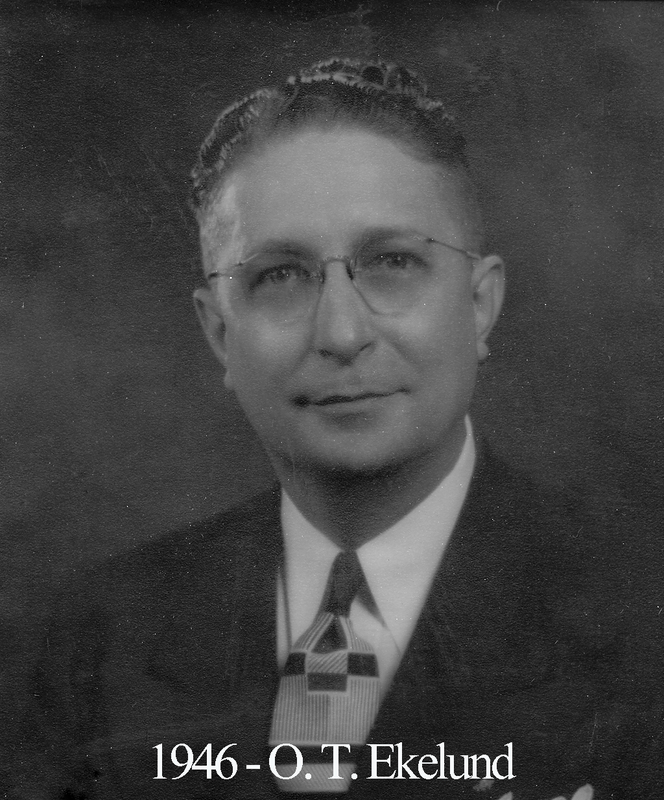 On January 22 of 1930, he became a Master Mason at Tucker Lodge #297 in Galveston. When he married Irene in 1936, they were living in Amarillo and he was working for Blackburn Bros. While he lived in Waco from 1937-1948, he worked with R.E. Cox Company. In October of 1948, he relocated to Houston to work with the Foley Brothers where he got a job as an executive. While in Waco, he was a deacon in Central Christian Church, an usher, and a teacher in the Sunday School. He was a president of the Junior Chamber of Commerce as well as a member of all the Masonic orders here in town. He affiliated with our lodge on October 21, 1938. Later on, as Master of 92, Ekelund oversaw a project that made him proud for many years. Waco 92 obtained an eye-seeing dog for Mrs. Sammie Rankin, a well-known activist for blind Wacoans. His son, Oscar Jr., proved to be a prominent active mason and well-respected police officer of Galveston for many years. Another member of Waco 92, Josh McCown, also has ties to Gaveston where he was barely a survivor of one of the more well-known tragedies to have happened in Texas history.